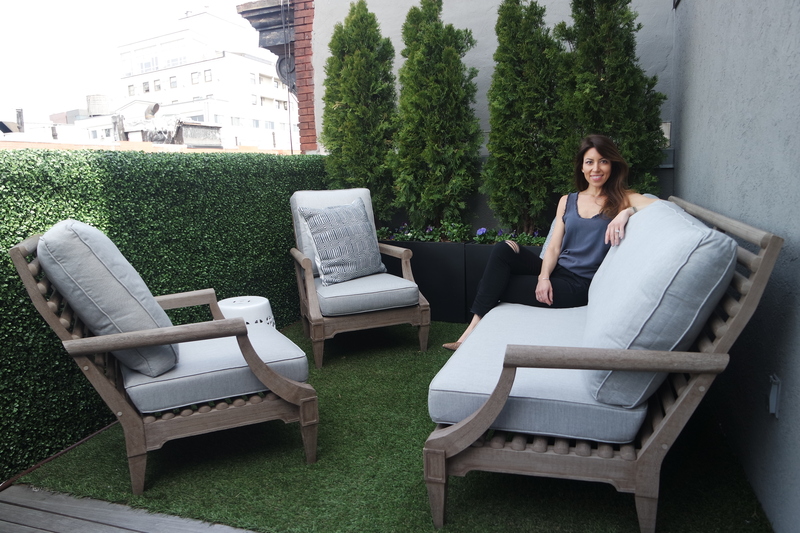 We’re excited to introduce this month’s featured interior designer, Gabriela Gargano! 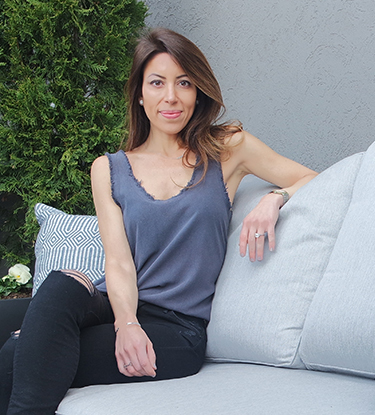 Gabriela founded Grisoro Designs earlier this year, forging a new path in life as an interior designer and real estate developer after spending 12 years in the finance industry. No stranger to high-intensity work, Gabriela thrives on projects that ask her to draw on her wide range of talents. Read on to discover more about her background and the inspiration behind her very own AptDeco collection! 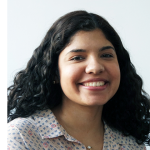 Gabriela started her career in finance before getting her start in interior design. Though her first job – back in middle school – was with an interior design boutique in Red Bank, NJ, she spent many years working in high-powered banking roles until finally breaking out on her own this year. “I actually ended up in finance by accident,” she laughs. “In college, a friend asked me to go with him to the Goldman Sachs information session. 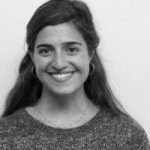 I ended up doing an internship with them, and then started full-time with when I graduated.” A happy accident, as Gabriela’s career took off in the finance sector. She loved having clients, handling their requests, and solving problems for them. As a side project, she started doing some real estate investing when she bought her first apartment after graduating from college. “I started doing it for myself, as a creative outlet. 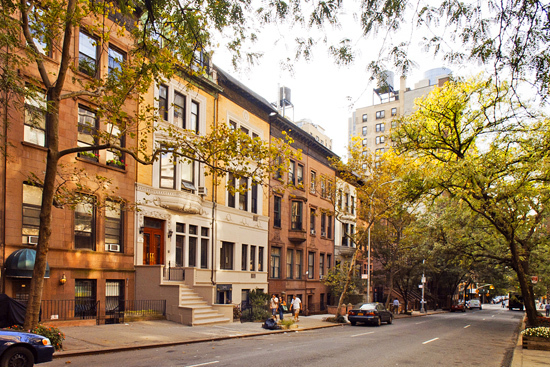 I discovered that I enjoyed the experience of renovating and decorating a space,” Gabriela recalls. One thing led to another, and she started to get inquiries from friends to help with their home improvement projects. “That’s when I realized how much I love interior design,” she says. Slowly, she started to consider making the switch from finance to full-time designer. She launched her company about two years ago, inching her side project toward a more formal endeavor. She admits it was scary to think of making a “go” of her design business full time “It’s an ‘eat what you kill’ concept when start your own business. That didn’t make me too worried though, because I know how to hustle,” Gabriela acknowledges. This January, she finally announced she would be leaving her full-time job in finance. Gabriela has grown her design company, Grisoro Designs, from referrals and friends, and is finding her work incredibly rewarding. She describes her role as “a designer and an investor” for the unique approach she takes to her design work: budget first. 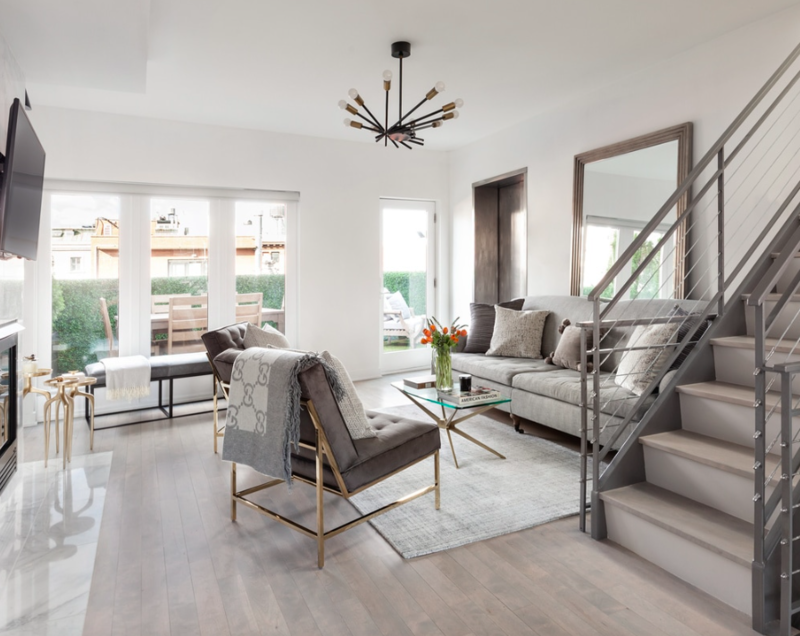 Gabriela defines her firm as a mix of holistic solutions for her clients: home furnishing, investment, real estate and construction guidance, among other services. Her skillset is wide and she’s happy to make the most of every challenge that comes her way. Another great tip that she shared with us is to think of furniture as an investment. “We should evaluate each piece that we’re getting and make sure that it would be a good addition to our space and lifestyle. Whether it’s about selecting pieces that could last for a long time or getting pieces that you could sell later effortlessly, it’s important to consider the quality of each one of your furniture choices”, Gabriela mentioned. 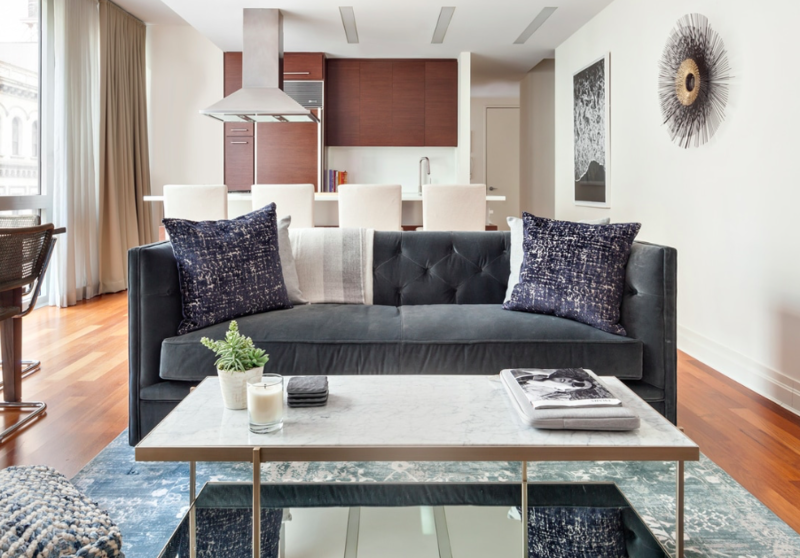 These thoughtful recommendations translate into the collection that she curated on AptDeco. You’ll be able to discover a stylish selection of elegant statement pieces for every room embellished with gracious accents such as mirrors, artwork and rugs – an impeccable inspiration to decorate your entire home. We love the collection that Gabriela put together on AptDeco and can’t wait to see what she does next! Stay in touch with her and his projects by visiting her firm’s site.